We can get closer to Allah Almighty during difficulties or facing hardships. 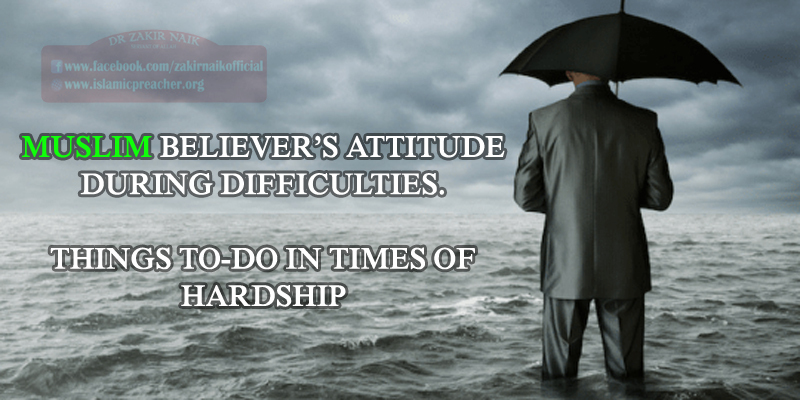 Believers emerge as stronger, unites and more skilled while facing hardships but only if he/she know how to deal with difficulties according to Allah’s guidance and life of Prophet Muhammad (SAW). From the above-mentioned hadith, we can conclude that a hardship and suffering is a blessing in disguise. It is a moment of test, a test that once you pass with patience, it will grant you reward more than you can imagine. 1) Offer Salah: Make sure to praying on time that is 5 times a day. Never miss a salah and do your best to pray each Salah with sincerity as if it’s your last salah in this world. 2) Make Dua: Make dua for removing doubt or mistrust during difficulties. 3) Read Quran: Quran is a book of guidance by reading Quran you will find the solution of every difficulty that you are facing in your life. 4) Give Sadaqah or Charity: Give lots of charity, as much as you can, because it helps drive away hardship. 5) Hardship is Not Lost: Remember one thing, Allah will never forget the injustice and hardship you ever faced in life, so don’t worry about seeking revenge or trying to get justice.